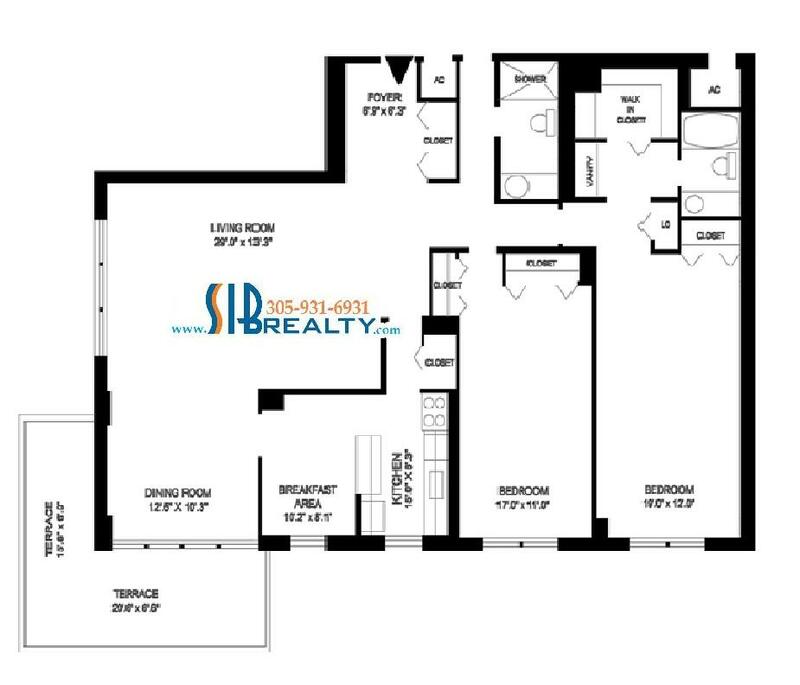 Winston Towers is a comunity in Sunny Isles Beach just minutes from the exclusive Bal Harbour shops, and across the street from the beach. 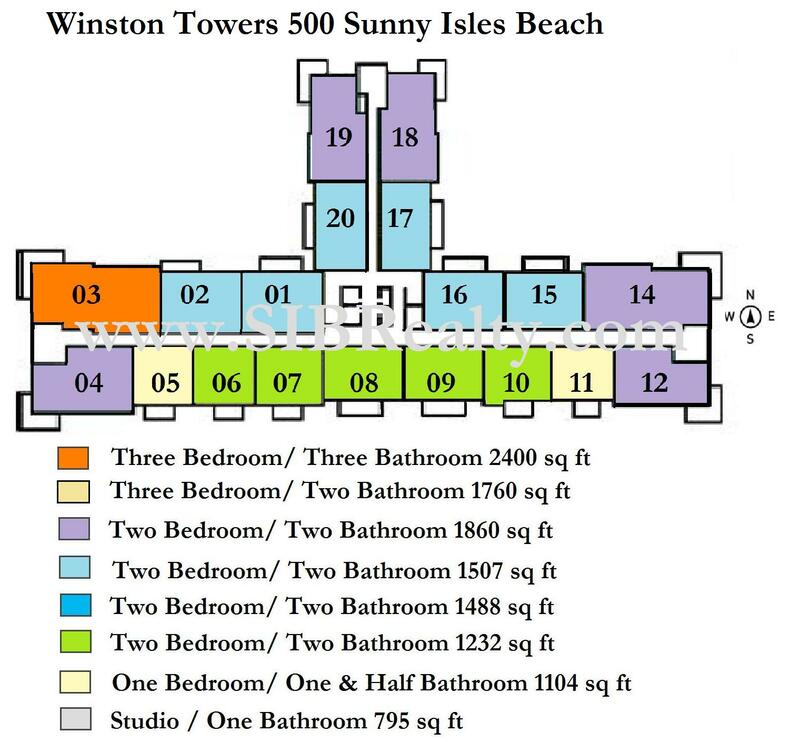 Winston Towers’ real estate features condos which many times have ocean and city views. 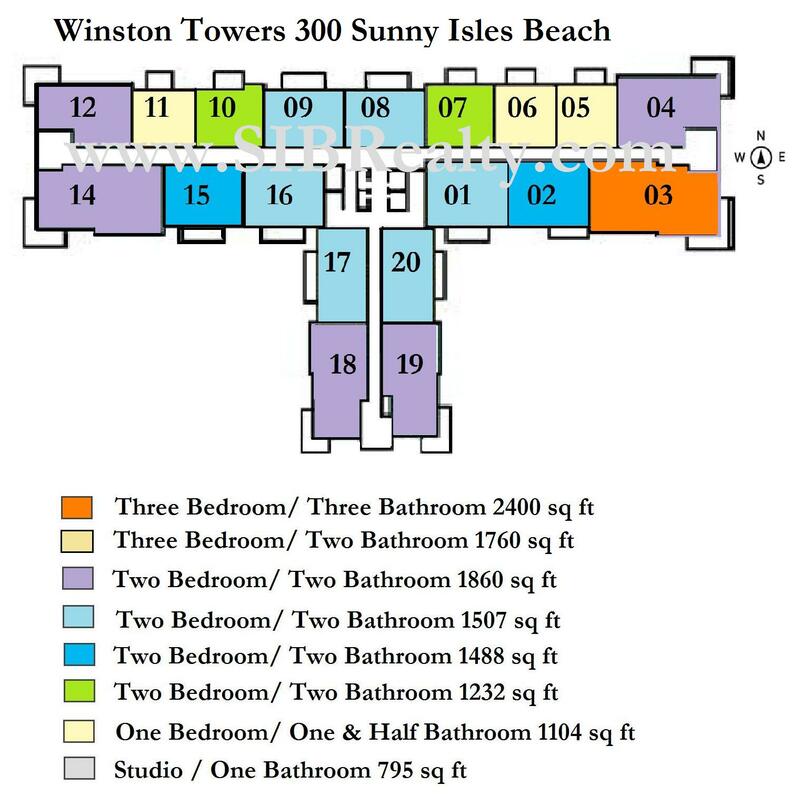 Among the amenities at Winston Towers are 24-hour security, covered parking, gym, spa, tennis courts, courtesy bus, and community pool. Winston Towers maintenance includes garbage and trash removal, insurance, recreational facilities, and security. 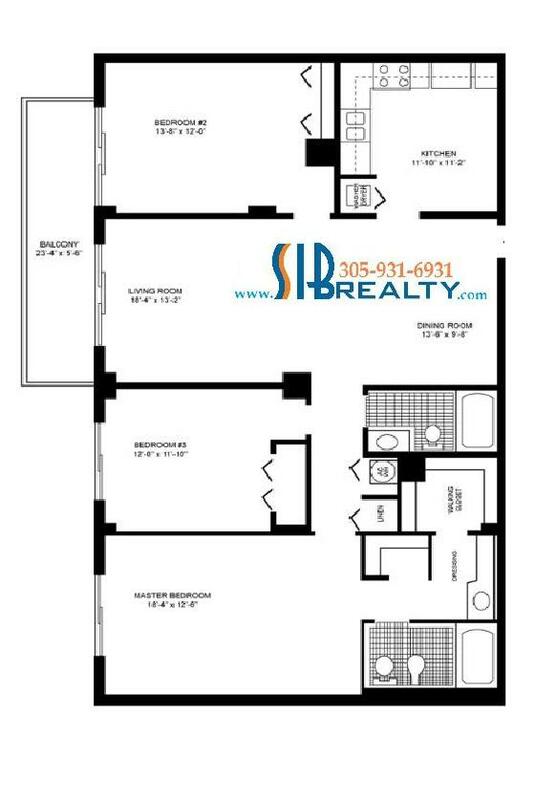 The Winston Towers condo is an ideally situated real estate. 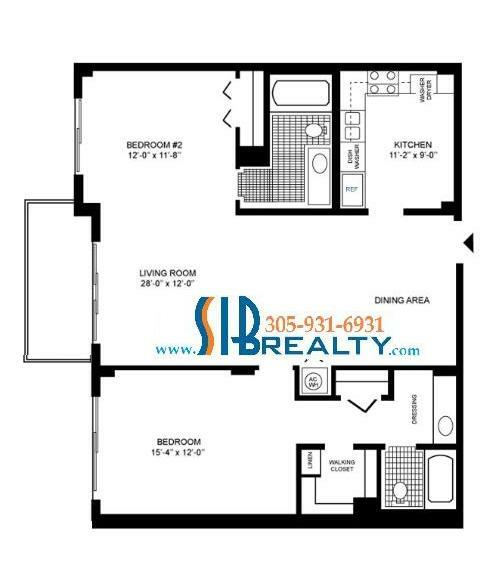 It is minutes away from South Beach, near shops in Bal Harbour and Aventura Mall. 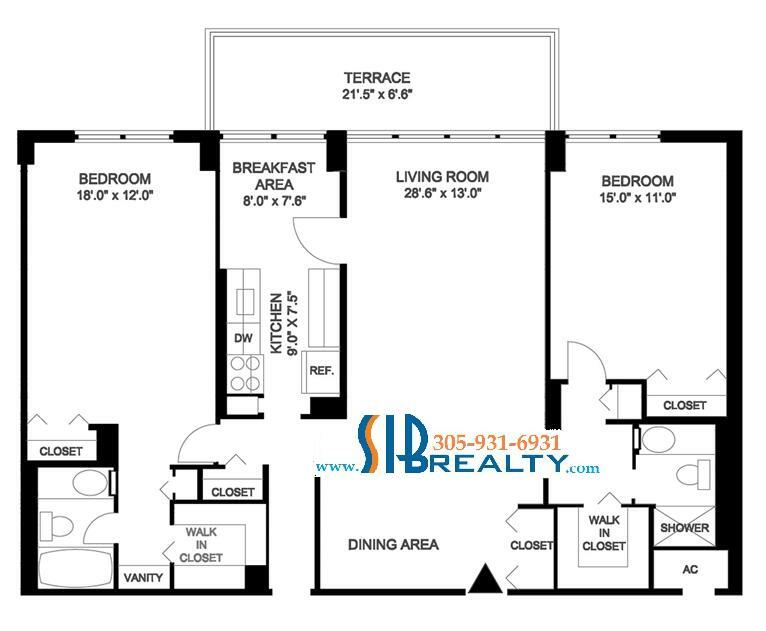 Nightlife and restaurants are within walking distance. 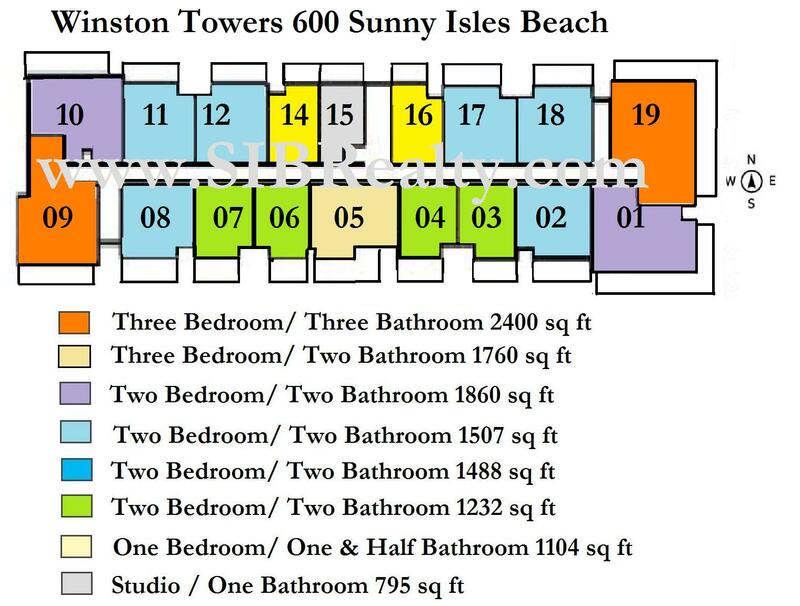 The Winston Towers condos are across the street from Sunny Isles Beach Park where you can enjoy the Atlantic Ocean. 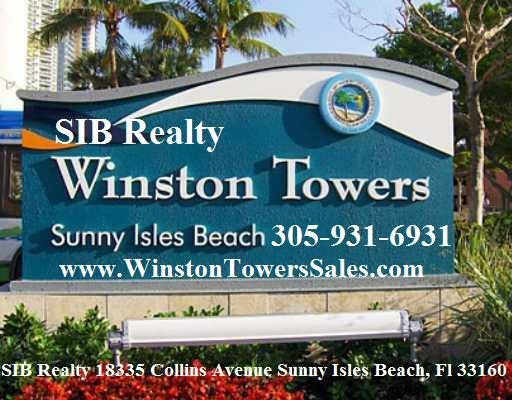 If you are going to sell, buy or lease Winston Towers Condo allow us to help you. 2. 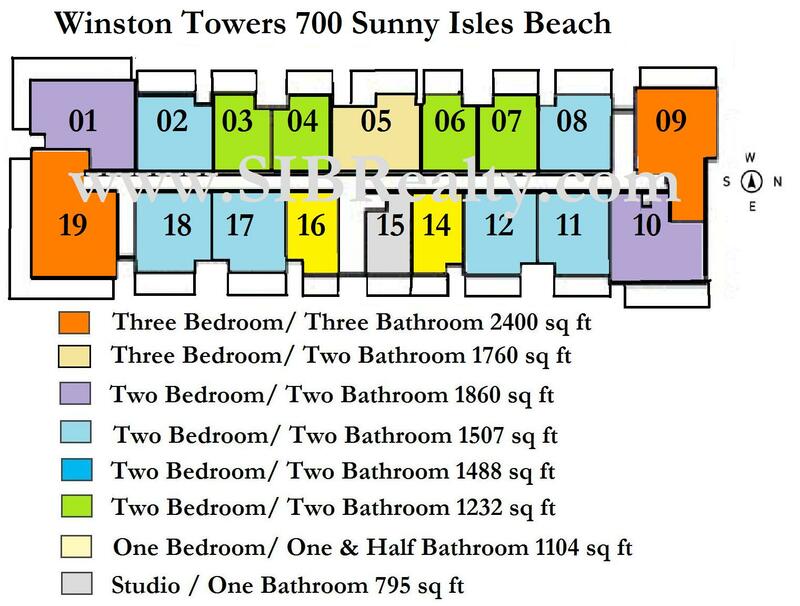 You can rent unit immediately at Winston Towers 600 and Winston Towers 700. 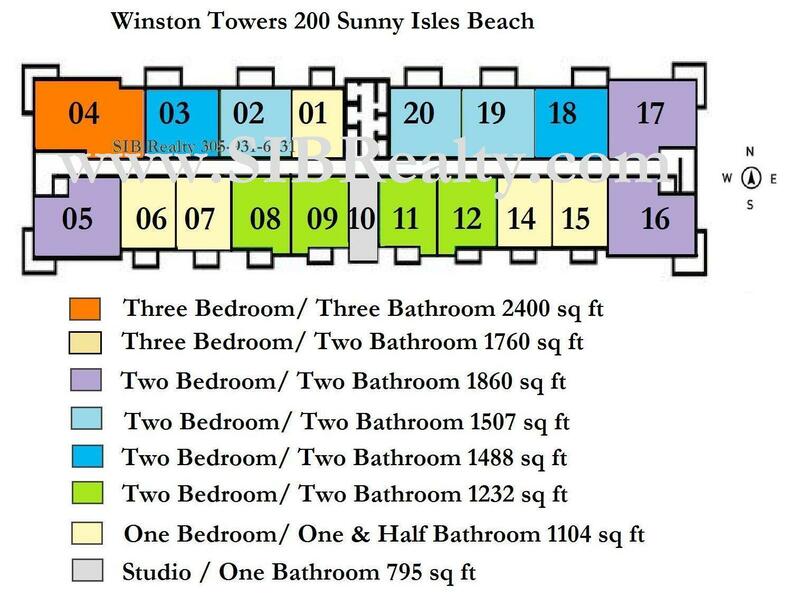 The approval for tenant takes at Winston Towers 600 about a week, at Winston Towers 700 - from two to four weeks. 3. 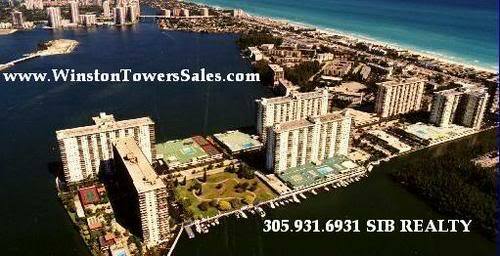 Winston Towers 100, Winston Towers 200, Winston Towers 300 have restrictions for rent, please, contact your condo association. 4. 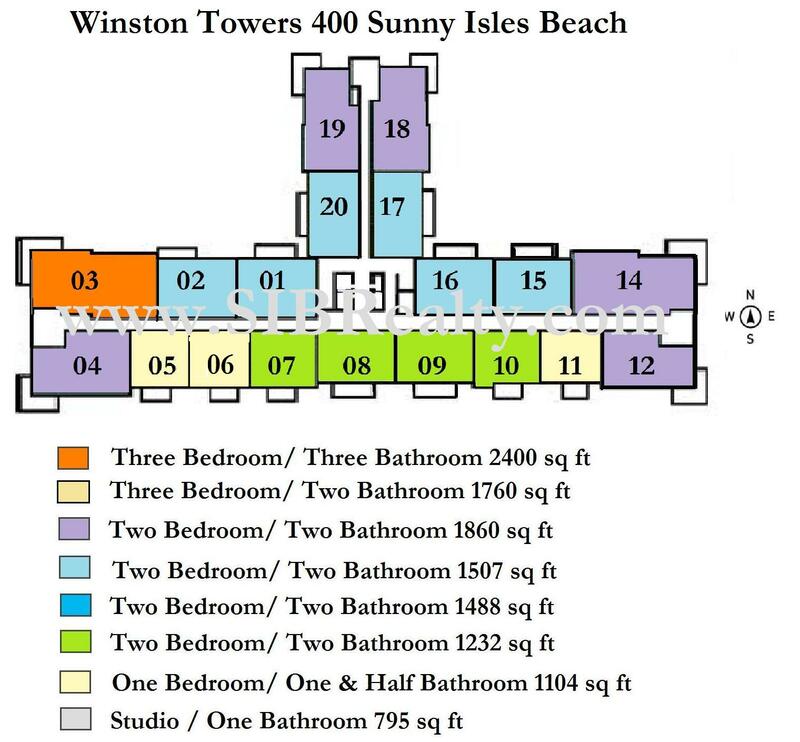 Winston Towers 400 and Winston Towers 500 - NO Rentals at all. 5. Parking. That is very important. Each building at Winston Towers has a garage parking. 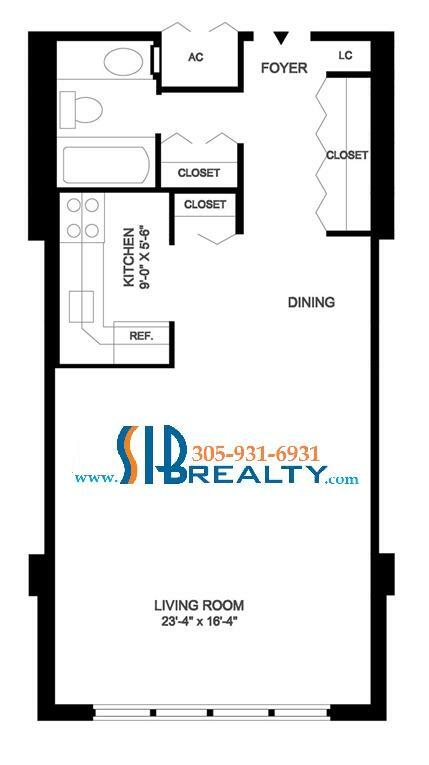 When you sign the contract for sale or rent, please, do ask your realtor how many parking spaces your unit has, where. And how much will be additional parking. 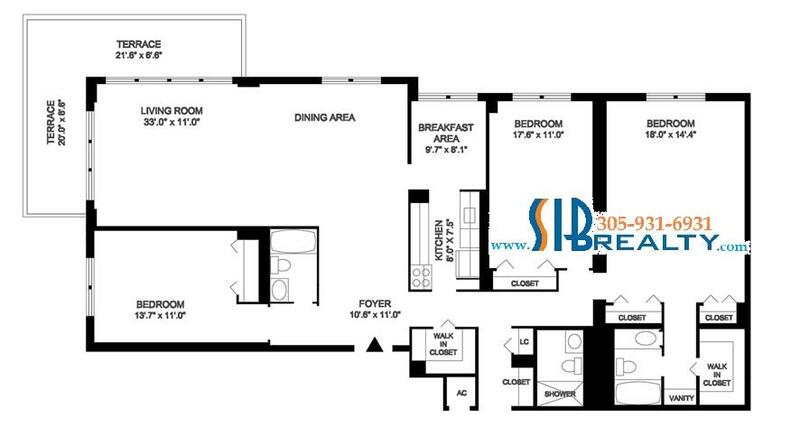 ►Winston Towers Condos sell fast when the price is right! Take advantage of the market. We can find the best deal for you! Seek- Find - Buy! Hello, Dear visitors! We hope, that our virtual page and the information was useful. 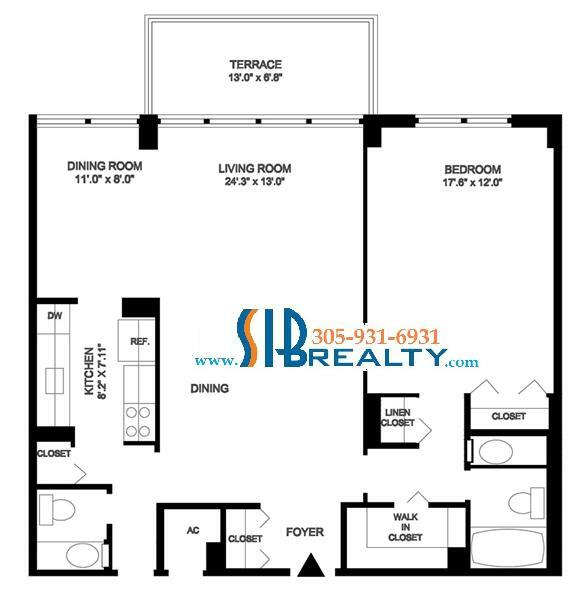 I, Evelina Tsigelnitskaya broker of SIB Realty would be glad to answer your questions. Our company and I personally specialize in sales at Winston Towers, rentals at Winston Towers and management of apartments at Winston Towers Call, write. See you soon in Miami.